Is there anyway to configure IPAM/DNS to send emails of changes? Like, for instance, if someone from my group change/add/modify/delete some data(IPAM and/or DNS) i would to receive an email of what has been changed. I see it has option for notifications/alerts but what about just general changes/diffs within IPAM/DNS? Hope this helps, let me know if you need any additional information. Thank you for reply Syam! 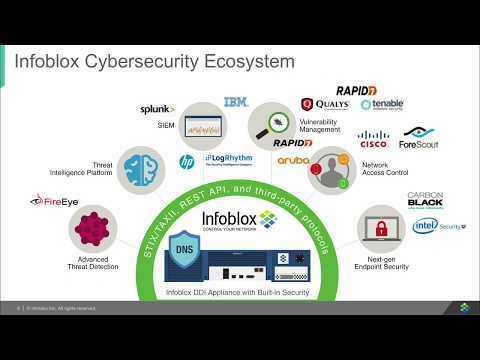 Do i have to enable something on Infoblox? adjacent tab where u can view the audit logs as well. U can make the config changes from grid member properties. Hi Syam - yes, i can see Audit and Syslogs within GUI portal - is there anyway i can "scp" or "sftp" into my Linux box on a side - so i can parse it for required information? I understand i can logon into portal/GUI and click on "download" to my local machine within browser - but we would like to automate this process...so - would be nice to somehow get these logs on a side. Is there anything to enable in order to scp these logs from Infoblox to some Linux box? be accessed via grid/member properties-->monitoring tab.